So I did a little googling, and I settled on a hybrid of a few recipes that looked appealing. So, in any case, I’m glad I tried these because I must say I quite enjoyed them. 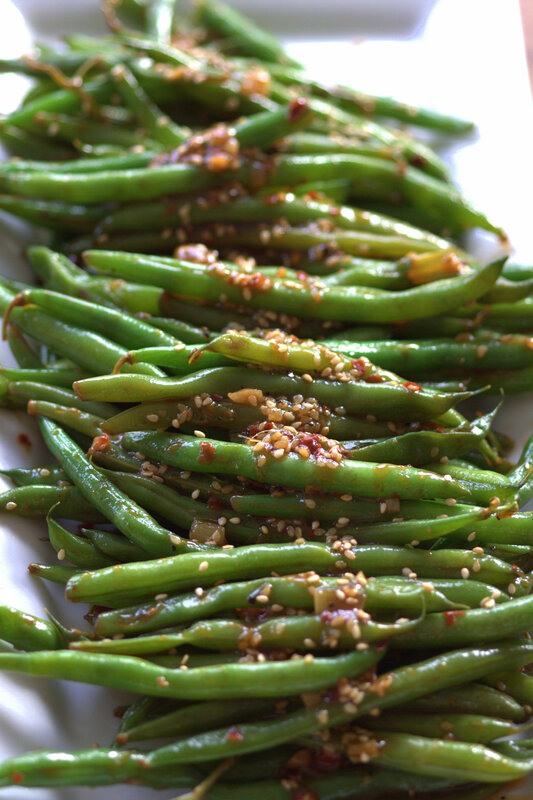 I wouldn’t always go out seeking green beans, but maybe I’ll turn over a new leaf. 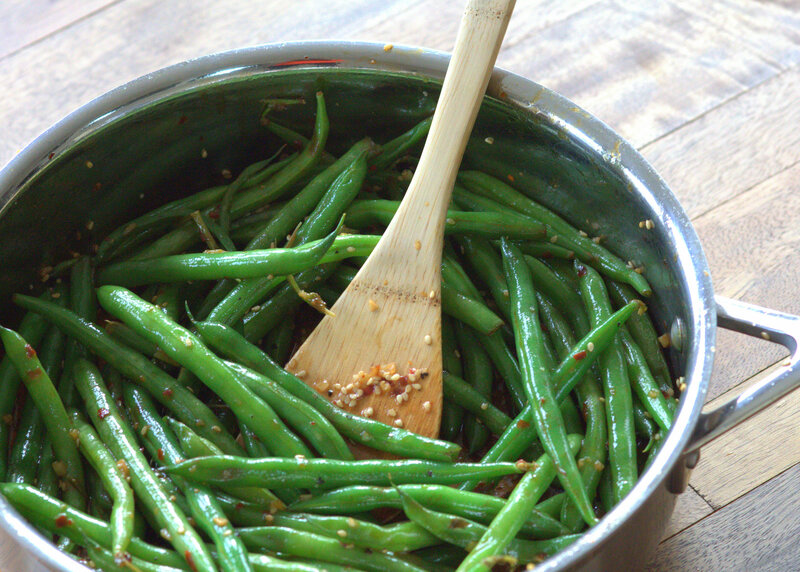 With some soy sauce, vinegar, a little sugar, and spicy red pepper flakes, they’re tangy, spicy and sweet all at once. 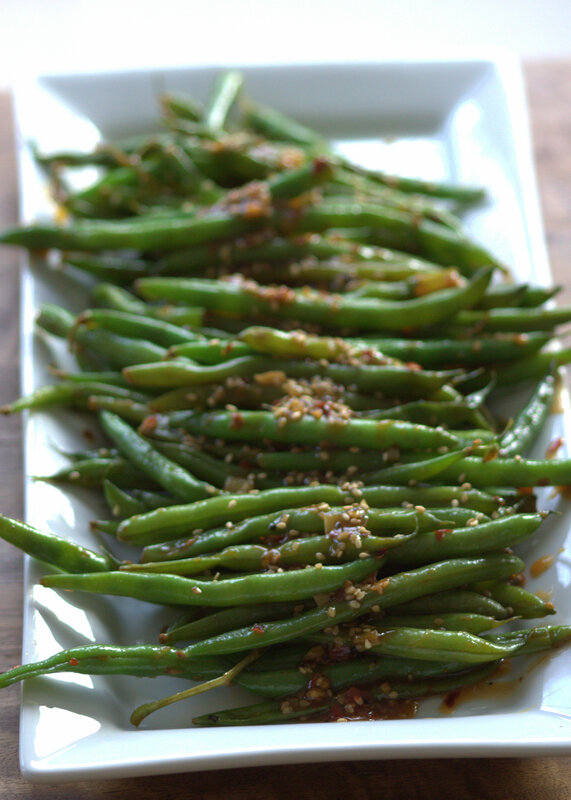 And you can make them as spicy or… “un-spicy?” as you want. Best of all – they look decent enough, you could even EVEN serve them to company. Without embarrassing yourself. Yes, clearly I didn’t bother to trim all the little stems. Sue me. Quit judging. Like you’re never lazy? 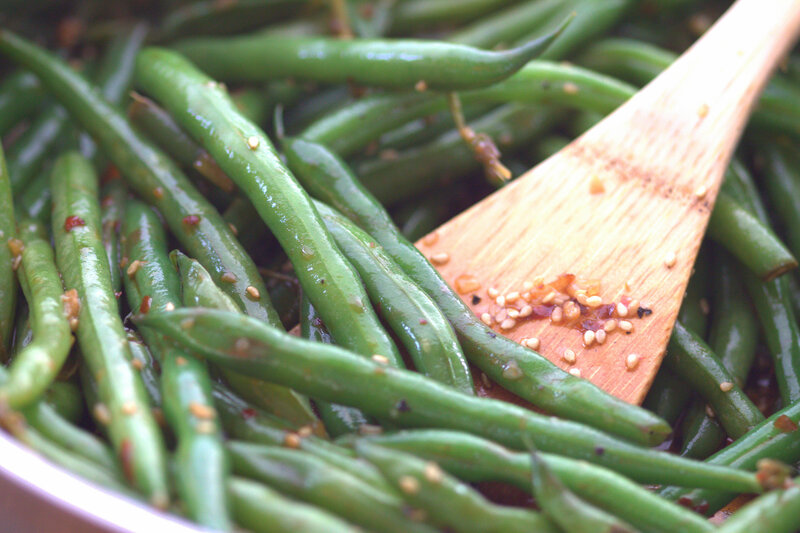 In a small bowl, mix together soy sauce, sesame oil, rice wine vinegar, brown sugar, corn starch, salt, and pepper. Heat a skillet over medium high heat. Swirl in a couple tablespoons of olive oil, then saute garlic, green onions, and crushed red pepper briefly until fragrant. 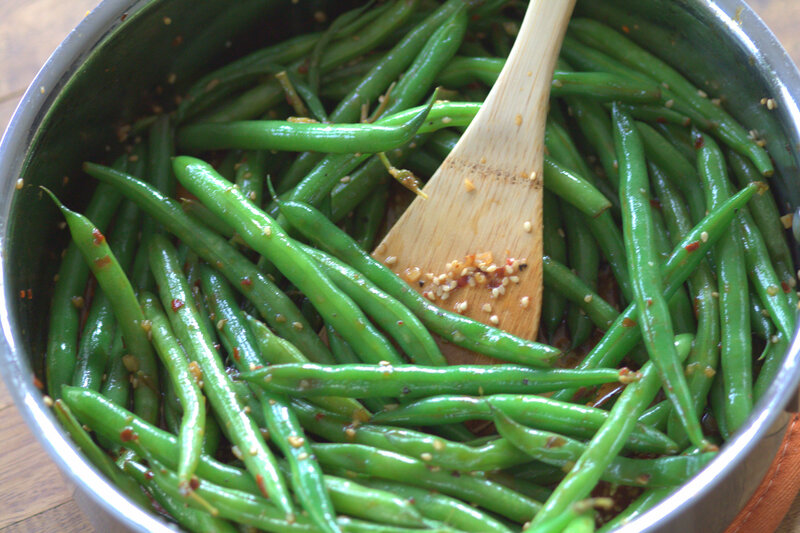 Add in green beans, stir to coat, then cover, intermittently stirring for 4-5 minutes. Uncover, then stir in soy sauce mixture and saute for one more minute. 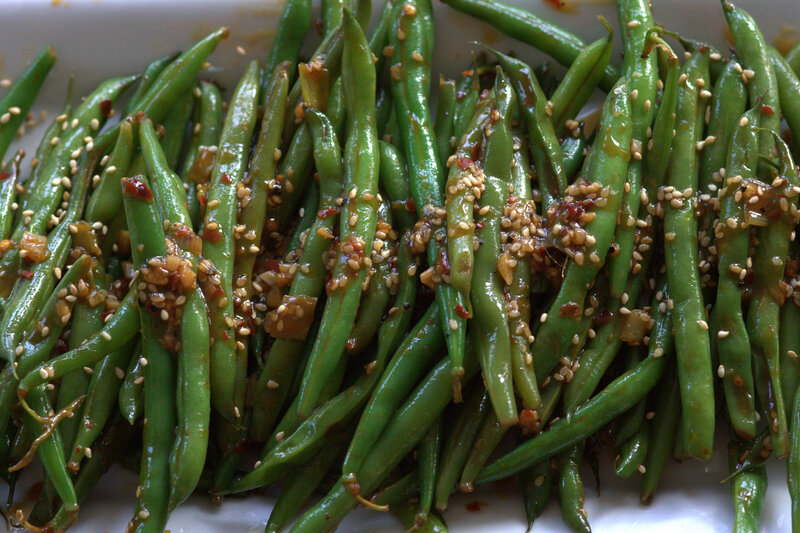 At the last minute, add sesame seeds. 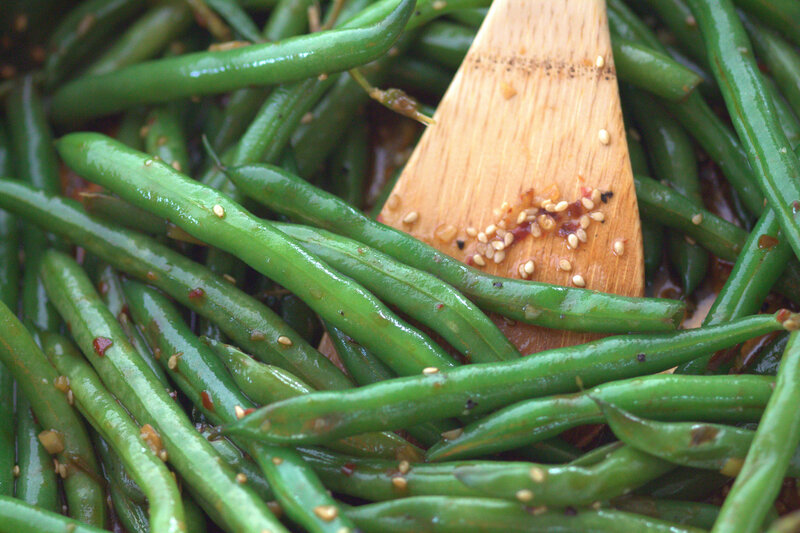 Plate green beans, then drizzle remaining sauce over the top. Enjoy! Have a Happy Friday everyone!! I want to put this sauce on everything. It could make my shoe taste good.